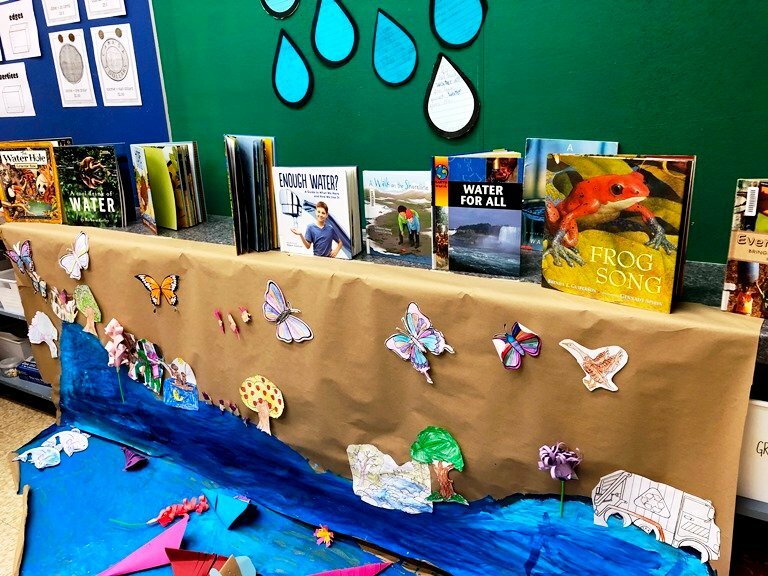 ABERFOYLE, Ontario – Students at Aberfoyle Public School in all grades have spent the last eight months participating in inquiry projects about human and environmental rights. The goal of these projects is embracing global citizenship and social justice issues. 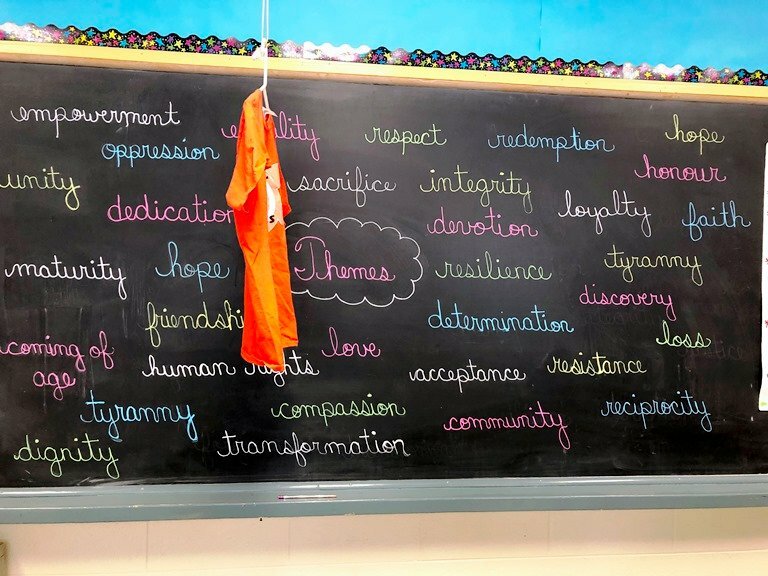 The result of these projects was the Aberfoyle PS Human and Environmental Rights Museum, which showcased student work at the school on April 10. Students showcased their learning throughout the exhibit with visual arts, poetry, music, drama, photography and media. 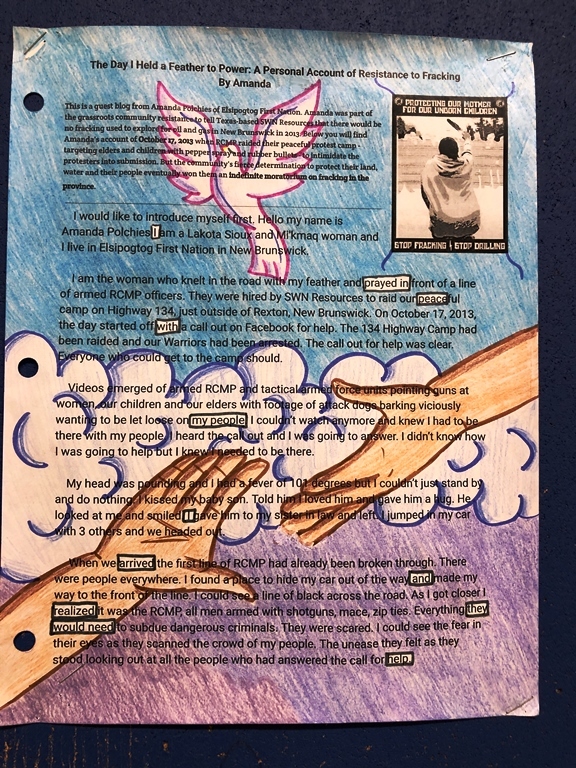 Exhibits explored a number of topics including Truth and Reconciliation, Friendship Treaty, Water Rights, Global Organization, Social Justice, the Rights of a Child, Equity writing and a Human Rights Library. As part of the evening, the school heard from guest speaker Nancy Rowe. Rowe is a Mississauga, Ojibwe of the Anishinaabek Nation located at Credit First Nation. 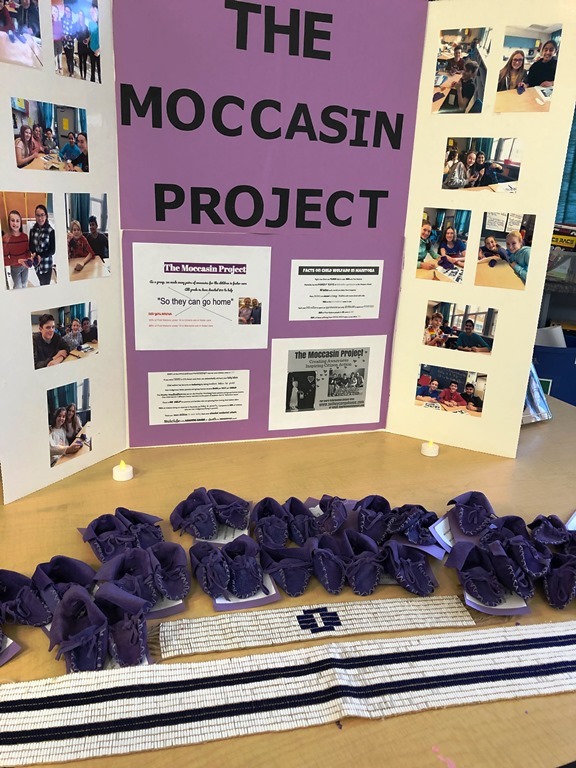 Rowe was at the event to talk about social justice issues, The Moccasin Project and the importance of education. Student displays were very well done and covered a wide range of topics that students feel strongly about.